The Algerian company Sarl POLYBÉTON, located about 25 km north of Bou-Saâda, specialises in the production and distribution of all kinds of concrete products . The supplier to the construction industry has an extensive range, from paving stones to curbs and concrete blocks. 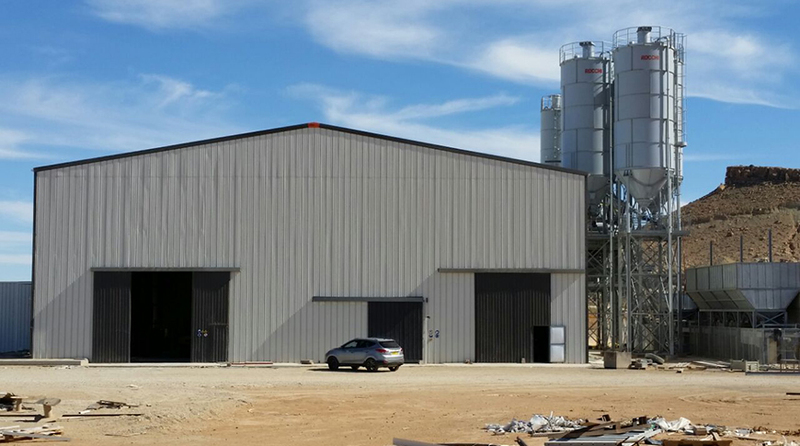 To meet growing demand, Sarl POLYBÉTON urgently needed to expand its site and invest in new industrial buildings. To get a real feel for Frisomat’s practical application of its slogan ‘We shelter your business’, representatives from Sarl POLYBÉTON visited Frisomat’s headquarters in Belgium, where they visited the showroom and the production halls. Convinced of Frisomat as a reliable industrial builder, Sarl POLYBÉTON then placed its first order for a small company building. 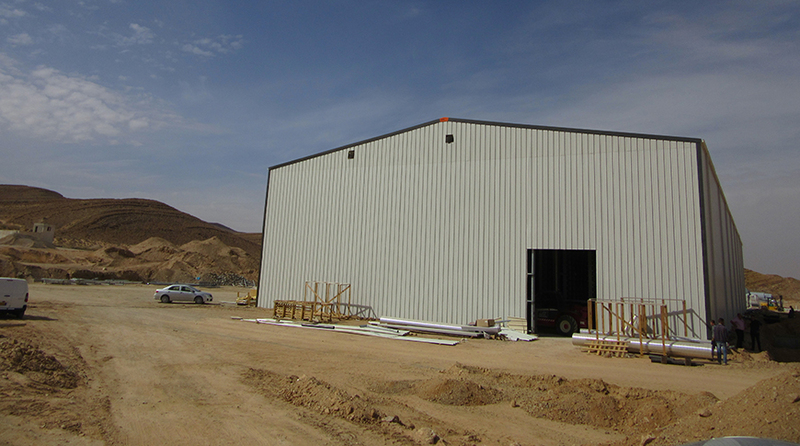 Almost immediately after that was installed, it ordered a second building. 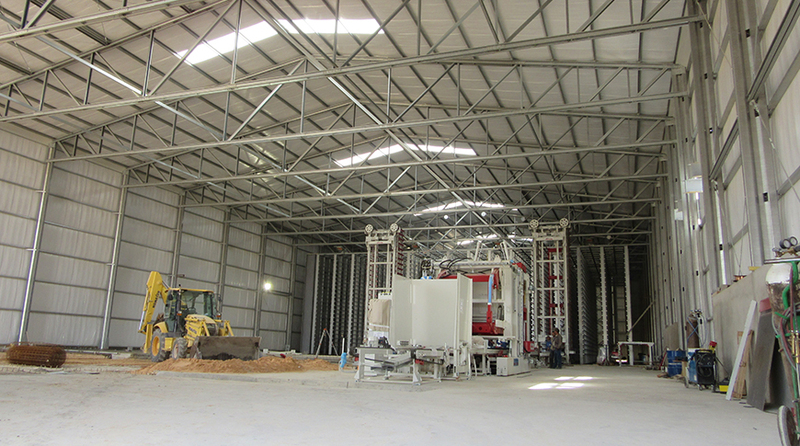 This time, the building was even bigger (30 x 81m) and higher (10.5m), but still installed within the same time. 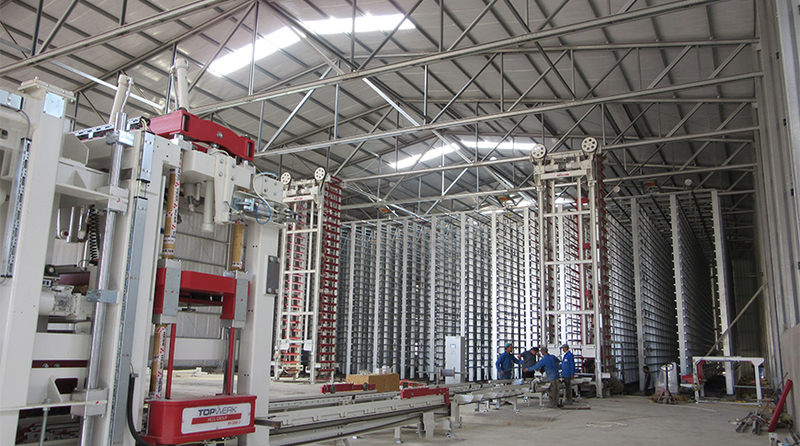 Assembly teams managed by Frisomat Algeria ensured quick assembly within 60 days. Sarl POLYBÉTON was also delighted with this second production, delivery and assembly by Frisomat. As a result, the concrete producer has recommended us to two other companies in Algeria; Corso Ceram – producer of ceramic tiles, and Sonatres. Frisomat supplied them with 4,040 m² and 1,159 m² respectively. Do you have a project in Algeria? We will be happy to help you with it, so please feel free to contact us.